For a game where half the fun is just loving its cast, Blizzard has been slow getting quality Overwatch figures onto the market. Pop Vinyls should be shot into the sun, and the Nendoroids were a start, but Good Smile has now stepped up with a Figma based on Tracer. 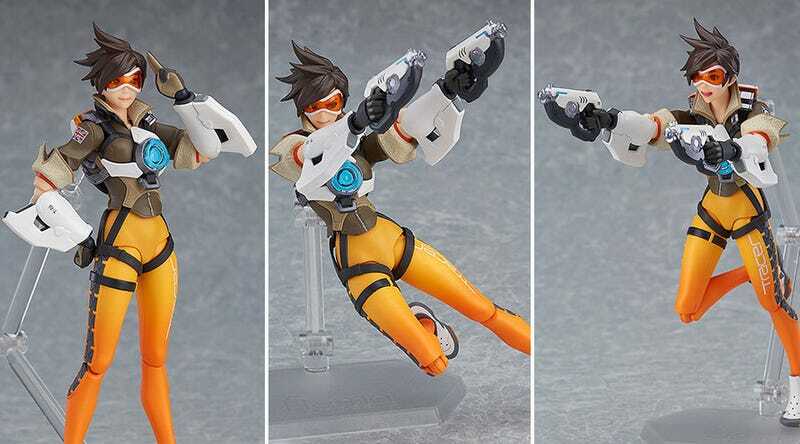 Due out in December, it’ll run to around USD$55 and comes with three faces, her pistols and a pulse bomb. As you can see on Good Smile’s site, while Tracer is the first announced Figma, there’s room on that roster page for a lot more. Starting with Halloween Mercy, if you don’t mind.